The Belagavi city corporation is making ready the notices to be issued to its Mayor Kiran Saynak and 13 others with a deadline to remove their commercial establishments near R.P.D. Circle to enable the Public Works Department to commence construction works on the long pending road-widening project. Though the District Minister Satish Jarkhiholi is in agreement to fairly compensate those losing property, he has made clear that the Government would demolish all shops if not removed in 15 days and start the process of acquiring as per the rules. 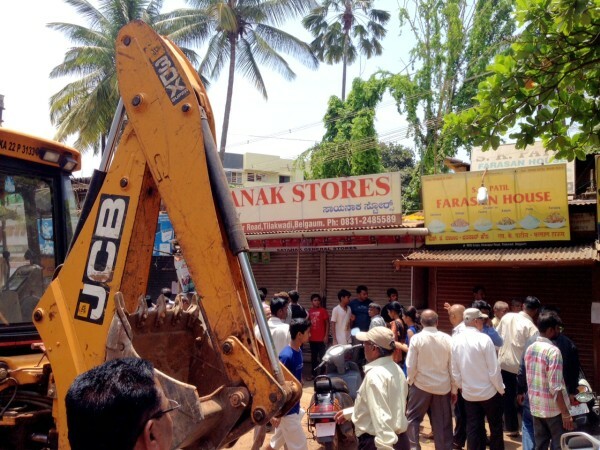 On May 26 the demolition of the buildings was commenced on Khanapur Road and about 14 properties were let off which had a stay from the high court. The Mayor has already said that he has moved the goods from his store and he wont come inbetween the development of the road however he said the small traders must be compensated for the loss. Previous articleWork of Over bridge at Kapileshwar could begin today?